We feasted at our house again this Chinese New Year and while the meal and company was delicious, the leftovers were the bonus treat. Aside from a platter of soup dumplings (which still tasted good but had absorbed their soup), tofu fritters, tasty riblets a friend so kindly brought, tangerine fried ribeye and crab noodles was a vat of jellied, gingered fish stock. Once the guests had left, we had thrown the remains of the picked-over yelloweye which had been steamed with chilis, ginger, garlic and green onions into a pot to simmer with some remaining aromatics. 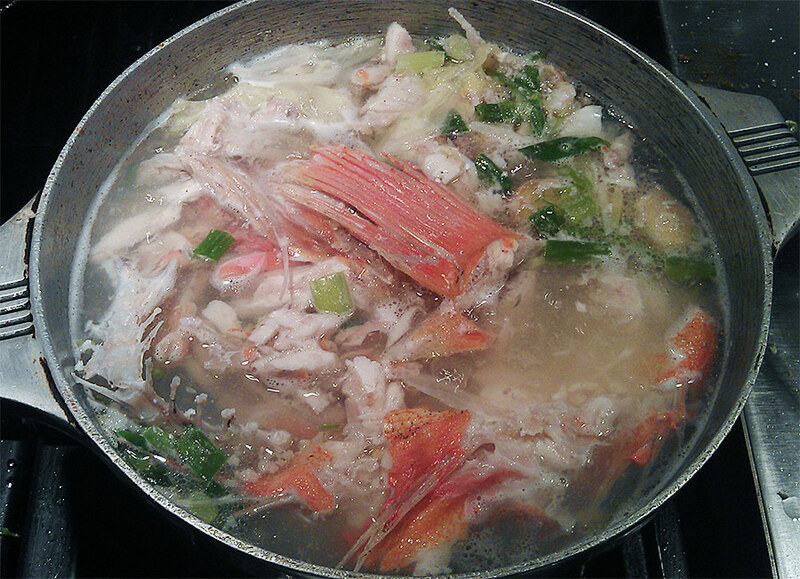 Once strained and cooled I set it aside for some variety of fish chowder the next day. Stopping at the store on the way home I picked up some Alaskan salmon and a couple red potatoes thinking I would use the leftover Chinese bacon and some more ginger to pull it all together. 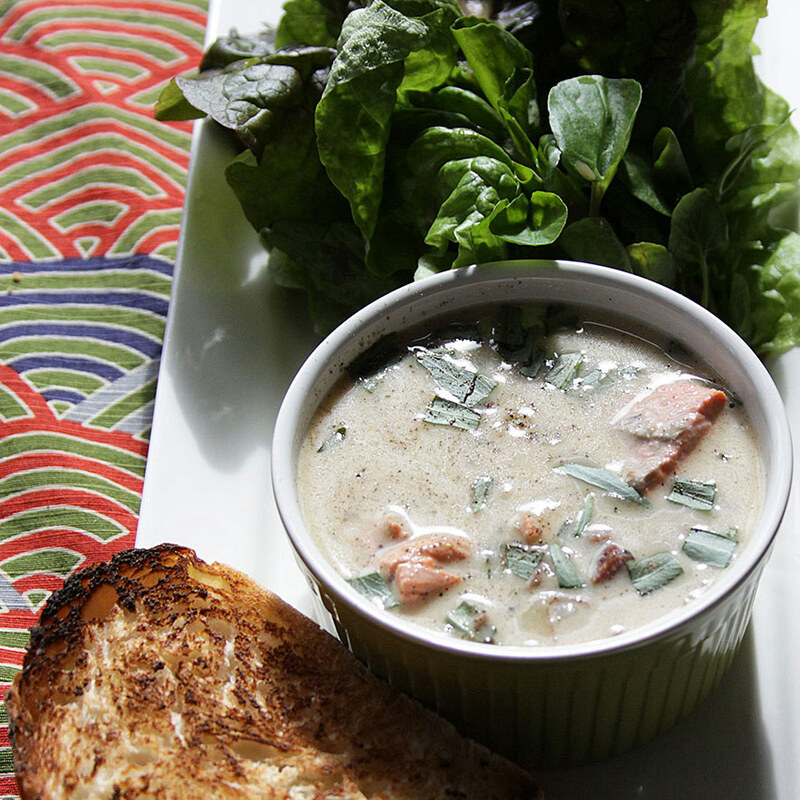 Some cream, tarragon and crusty bread completed the meal and it was slurpily delicious. Melt butter in a medium pot and sauté shallots and mushrooms until soft. Add bacon (mine was already cooked, but if you use raw, cook it first and cook shallots and mushrooms in the fat). Add flour and stir until incorporated. Add stock and heat to a simmer. Add potatoes and simmer about 5 minutes, then add salmon and cream and fish sauce. Cook another 10 minutes. Season to taste and top with grated ginger and tarragon. This entry was posted in Fish, Soup by Marina Chotzinoff. Bookmark the permalink.